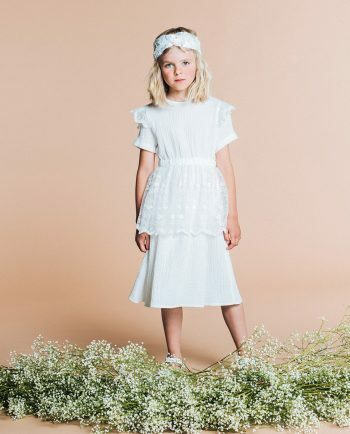 White is the colour of summer. Feel the beach air and enjoy blue skies with Cotton Dress venus. 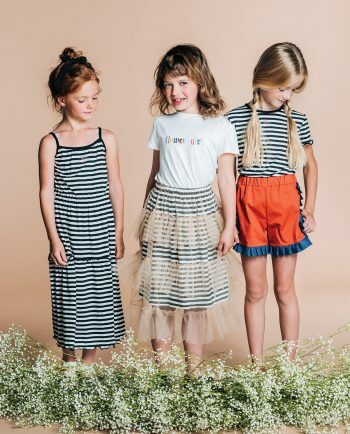 Made with soft double layered, textured cotton. Features torn edges and stitched detailing. Stunning embroidered fabric, midi length, fluffy sleeves. 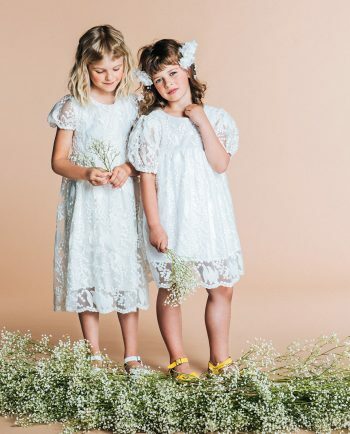 Embroidered Dress Pearl is a gorgeous cloud of summer dreams. The perfect dress for a summer party. Vintage silhouette meets modern colours and detailing. 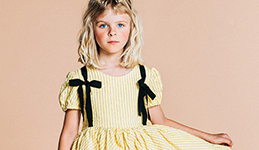 Contrasting black bows add that little bit of something extra to Queen Dress Auguste. Luxurious viscose/linen mix, full skirt and flounce detail. Hey, party! Garden party, wedding party or just to look your best. 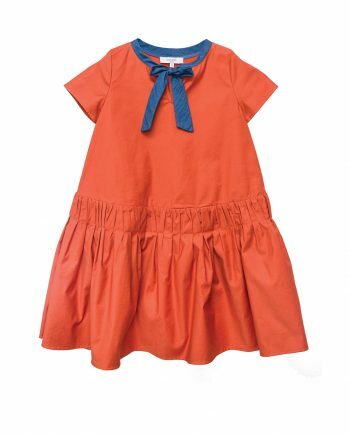 Dress Clementine is made from shiny fabric, accentuated with green bows and generous flounces. Lowered waistline, zip fastening at the back. 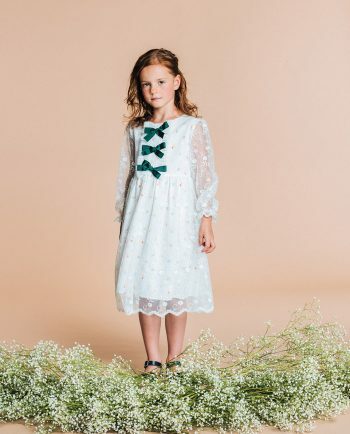 Romantic touches, delicate lace and garden green bows. 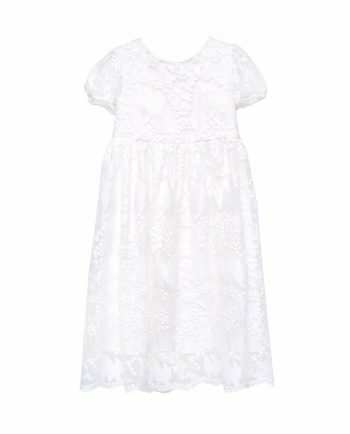 Lace Maxi Dress Greta is a gorgeous dress for all the special summer occasions. Lined with a pastel polka dot lining. 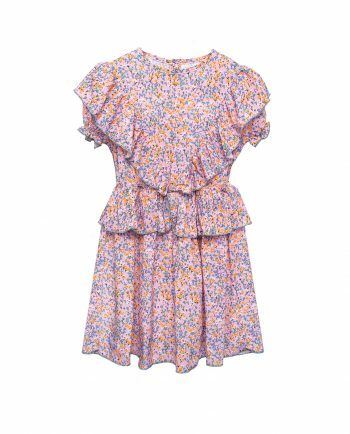 Gorgeous pastel pink and a field of summer blooms add a dreamy summer mood to this gorgeous flounced Viscose Dress Polly. Elasticated waistline, button fastening on the back. 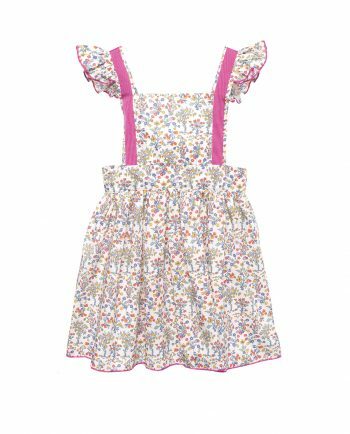 Our absolute favourite summer dress. 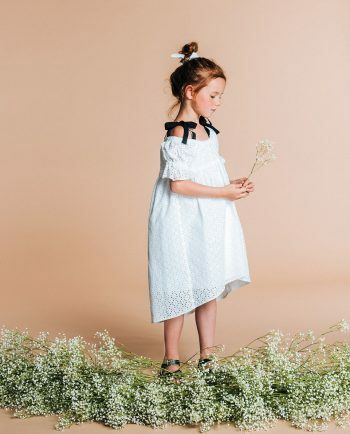 Featuring a delicate lace flounce and a modern tee cut, Cotton Dress Greta is fun, elegant and versatile. Suitable for everyday and party looks. 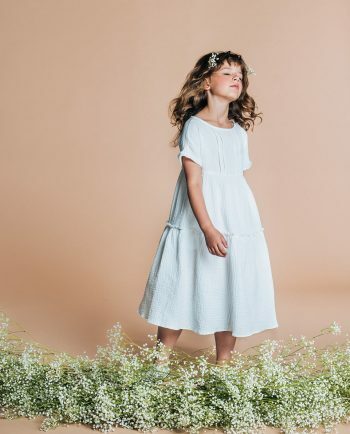 Summery Cotton Maxi Dress Sophia is made from embroidered cotton. 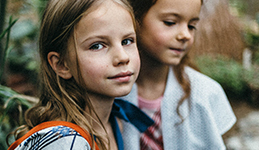 It is enhanced with a bow detail on the back and contrasting ribbons. Enjoy the comfortable wide fit and attention to detail. Soft black and white Jersey Dress Dune with delicate flower embroidery and contrasting black stitching and detailing. Midi length and ultimate comfort. 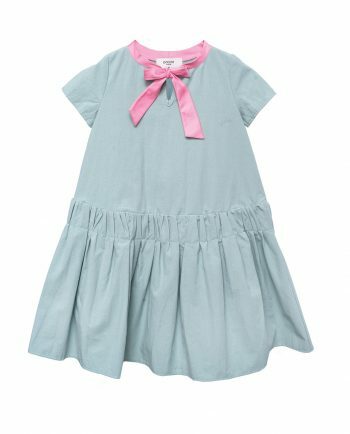 Stunning Cotton Dress Maxime in the summer’s sought out colour – mint. Wide fit and contrasting pink bow at neckline. Showstopper dress to celebrate summer. 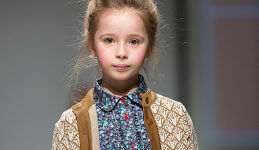 Stunning Cotton Dress Terra in the summer’s sought out colour – terracotta. 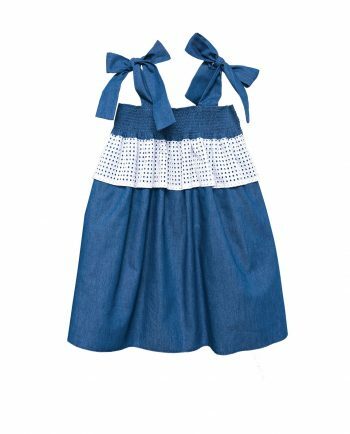 Wide fit and contrasting denim bow at neckline. Showstopper dress to celebrate summer. 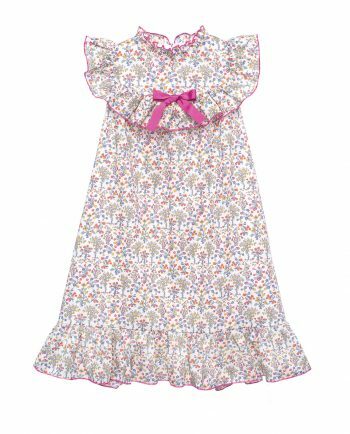 Cotton Dress Sophia features embroidered pattern cotton fabric, loose and delicate black ribbons to tie over the shoulder. Elasticated neckline. 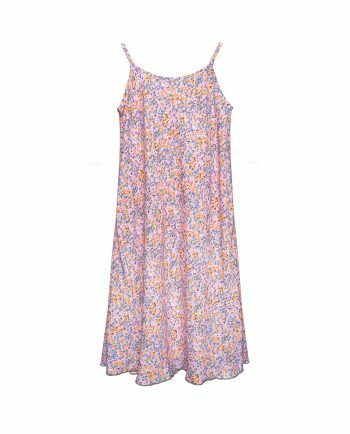 Our most popular summer Chiffon Maxi Dress Marion is the perfect mix of a modern silhouette, delicate fabric and a comfortable, pleasing cut. 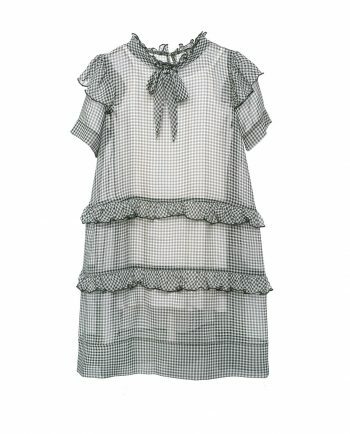 It has a delicate frill detailing and bow at neckline. Wear for a fabulous garden party.